Samsung's Milk VR video app, announced Tuesday, marks a tantalizing step forward for virtual reality. The app will let you run full-motion, 360-degree video on the Gear VR headset. Not a movie in a simulated theater environment, like we've seen with Oculus Cinema demos, but a video beamed right to your eyes, bringing VR users ever closer to a real-life experience. Samsung will reportedly provide free video content for the app on an ongoing basis, to keep users coming back for more. 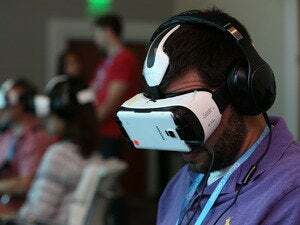 What this means for you: The Gear VR (announced at IFA 2014 in Berlin in early September) has managed to shrug off early concerns that it would be a me-too gadget that could drag down the whole VR market if it's not done right. 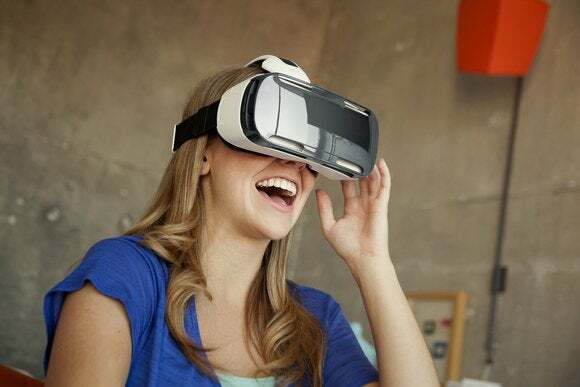 Samsung's partnership with Oculus certainly shows the company is serious. Nothing can change the Gear VR's dependence upon Samsung's Galaxy Note 4, but Milk VR is just the kind of must-have app that could elevate the reputation of the headset, which has been on limited sale since late September. If the Milk VR app is anything like the 360-degree video experience that rocked Hayden Dingman at Oculus Connect in September, it will be amazing. “This. I want to see more of this,” he wrote at the time. Speaking of Oculus, now that Samsung's Gear VR offers a full-motion video app, enthusiasts should be dying to know what the premier VR company might do with this technology and its own Rift headset. The Rift has several video apps and even an entire movie available via Steam. But the hardware is still in development, much to the frustration of basically anyone who's tried it—it's widely agreed to be the best VR headset available, final or not. Oculus, are you listening?